Organophosphates (OPs) and carbamates (CBs) are known to reduce acetylcholinesterase (AChE) and butyrylcholinesterase (BChE) and increase Glutathione S-Transferase (GST) activities in the exposed individuals. We have evaluated AChE, BChE and GST activities in long-term pesticide exposed tea garden workers of sub-Himalayan West Bengal and tried to relate enzyme activities with polymorphisms in GST M1 and GST T1 genes. Enzyme activities were measured spectro-photometrically in blood samples of sprayers and pluckers in relation to age-matched control individuals. Allele-specific multiplex-PCR was employed to score the presence of GST M1 and GST T1 alleles. Significantly lower (p < 0.01) level of AChE and BChE activities were found in the worker group (3.15 ± 0.69 µmol/min/mL of lysate and 1.2 ± 0.54 µmol/min/mL of plasma respectively) compared to the control group (3.74±0.26 µmol/min/mL of lysate and 2.21 ±0.27 µmol/min/mL of plasma respectively). Whereas, significantly higher (p < 0.01) level of GST activity was detected in the worker group (3.83 ±0.97 lU/gm of Hb) comprising of 61 individuals compared to control group (2.47 ±0.29 lU/gm of Hb) comprising of equal number of individuals. Out of total 122 individuals, 34.43% had both GST M1 and GST T1, 23.77% had single-null genotype for GST T1, 27.05% had the single-null genotype for GST M1 and 14.75% individuals had double-null genotypes. We found no significant difference in enzyme activities among the four genotypes when test and control groups were compared. This study for the first time explored changes in AChE, BChE and GST activities in tea garden workers exposed chronically to OPs and CBs in the studied region. 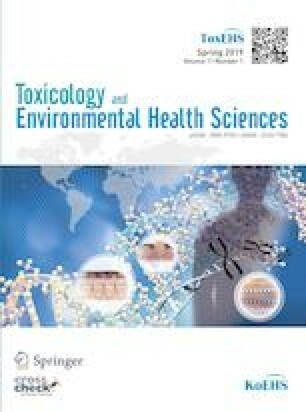 Our study indicated that exposure to OP and CB pesticides leads to changes in AChE, BChE and GST activities and the presence or absence of GST M1 and GST T1 alleles are possibly not related to the changes in AChE, BChE and GST activities. Supplementary material is available for this article at https://doi.org/10.1007/s13530-019-0389-1 and is accessible for authorized users. Authors are thankful to the tea gardens for providing support and garden workers for providing samples. Authors are also thankful to University Grant Commission, India for providing Basic Scientific Research fellowship awarded to TD [Grant Number- 4-1/2006 (BSR)/7-134/2007 (BSR)].